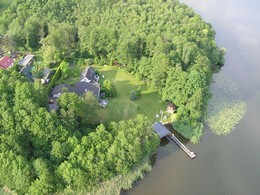 2 comfortable detached houses (65/85sqm) on an idyllic large waterfront land at the output of the Mielitz lake to the Teupitz lake, right in Dahme Lake Region, the gate to Spreewald. 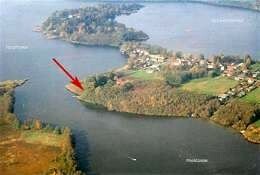 Own small beach with boat and jetty, beach chairs and sun loungers. price for 2 people and per day period of high season: 16.06.- 15.09.